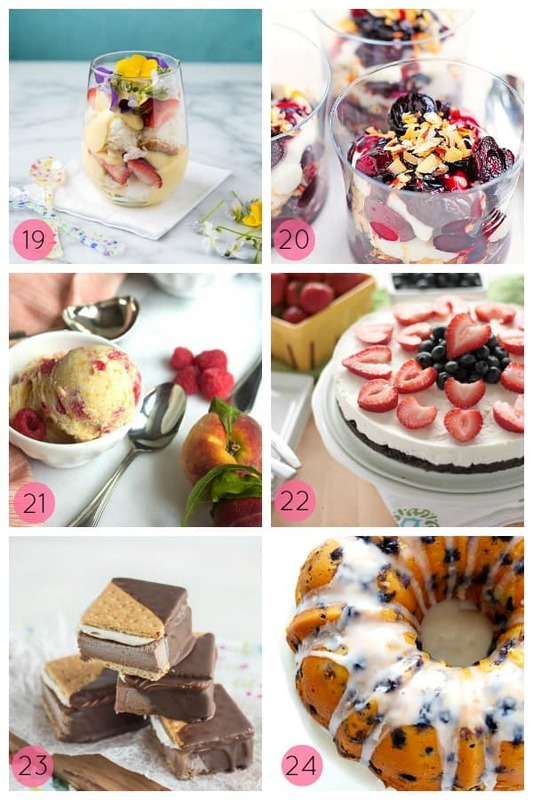 24 Sweet Summer Desserts ready to tempt your taste buds. 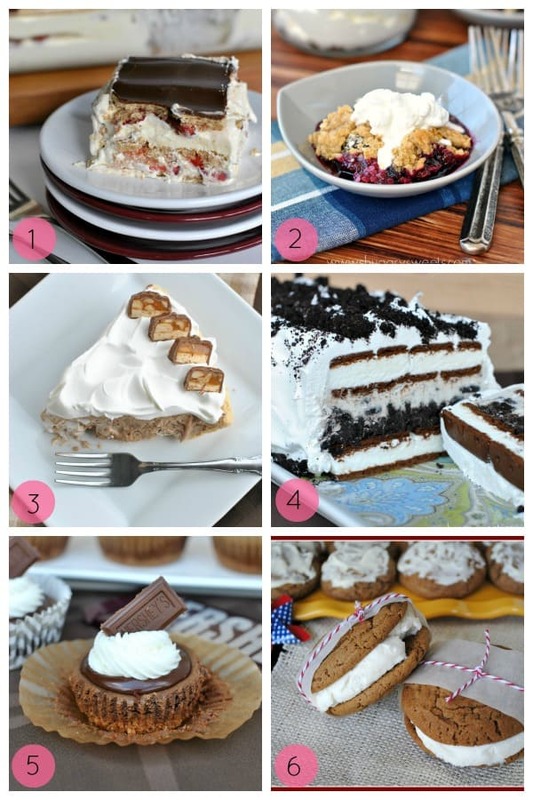 Forget the bikini, just dive in to one of these recipes below! Well, it’s true. I’m off enjoying the warm sunny beaches of Hawaii. 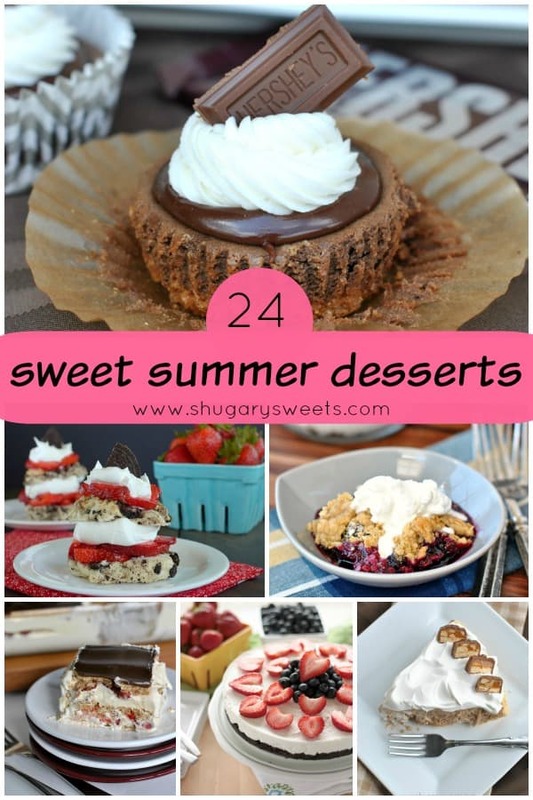 I thought it only fitting that as my family begins our summer vacation, we round up some of the best desserts on the web! Thanks to Becca for putting this awesome group together! If you don’t read her blog, you totally need to! Her Grasshopper Rice Krispie Treats are calling my name! 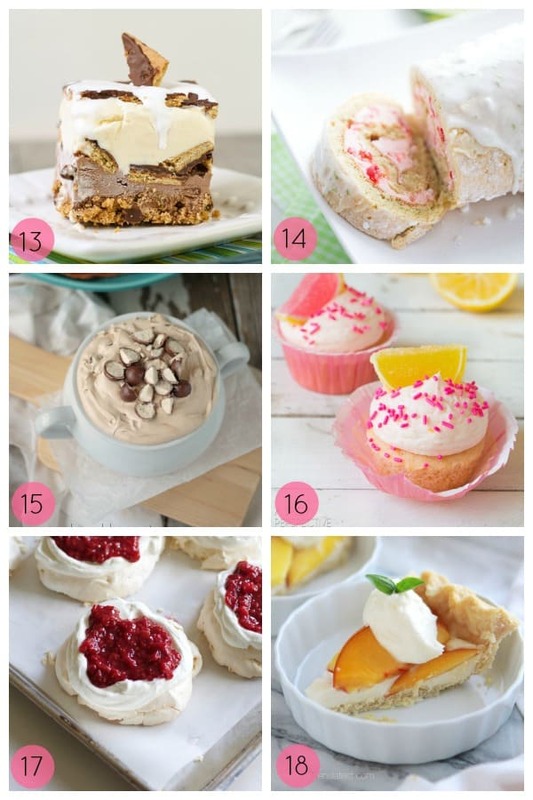 Hopefully this little round up of desserts will tie you over until I return! 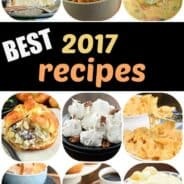 Have fun checking out all the great recipes below! Aimee, what a killer round up! I LOVE that everything is easy to make – but that’s dangerous. 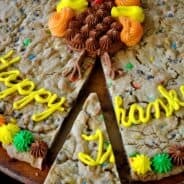 I’m in love with all of the s’more creations. Pinning! What a great roundup, Aimee! Now I’m totally craving something light, refreshing, and chilly! What a fantastic roundup! 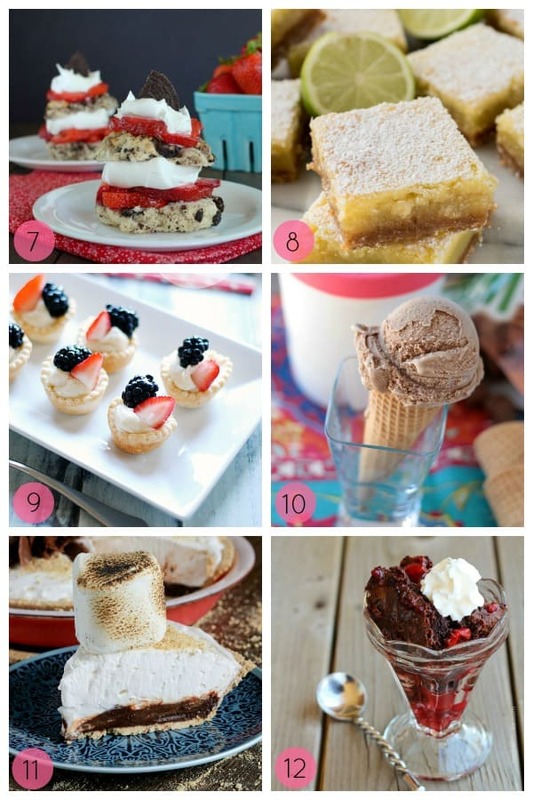 Thanks so much for including one of my recipes along with all these fabulous summer desserts! 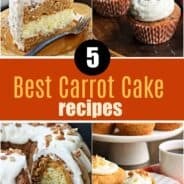 Fun recipes, I’m going to get my mom right on these. Just kidding. Or was I? Oh I would eat them all if I could – great collection!! !